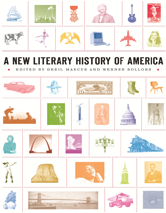 A New Literary History of America contains essays on topics from the first conception of a New World in the sixteenth century to the latest re-envisioning of that world in cartoons, television, science fiction, and hip hop. Literature, music, film, art, history, science, philosophy, political rhetoriccultural creations of every kind appear in relation to each other, and to the time and place that give them shape. Also contains an introduction and index.